I absolutely love the fall season! The warm colour tones, the crisp smell of leaves in the air, the pumpkin spice lattes (I know, I can’t help myself! ), and nothing beats fall wardrobes. Here in central Alberta, this time of year the weather is completely unpredictable (like, we all saw that snow last week, right?) So how do you plan a wardrobe when one day it can be warm, light jacket weather, and the next you need to break out your boots and mittens? ‘Tis the season for layers, and multi-purpose clothing! First step, (pun completely intended), is finding a pair of boots that will keep you warm and dry, without needing to dig out your snowshoes JUST yet. 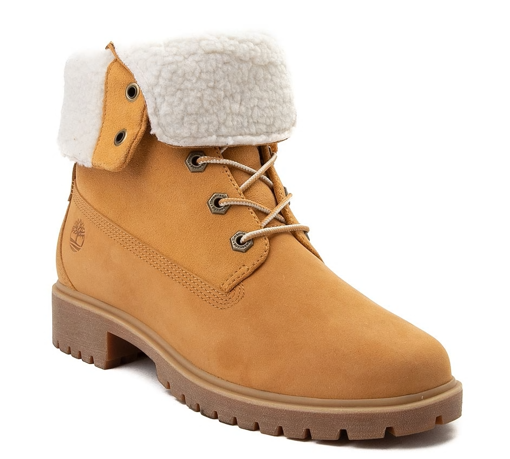 I adore these Timberlands that I found over at Journeys, they are sleek with a bit of a heel, but are full-grain leather to repel water and stains. The soles are durable leather, so you won’t be slipping on any hidden frozen patches on your way to the office. Plus, they are cute and casual enough that you won’t need to change them throughout the day! Next, there’s nothing I like better than layering my outfits. I don’t want to pack away my summer wardrobe just yet, so with the right sweater or cardigan, I can continue wearing my warmer day clothes without freezing. 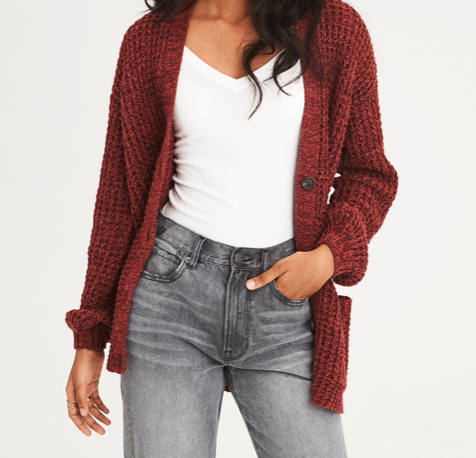 This soft rust red cardigan from American Eagle is my fave – I can dress it up or down, and I can still look fab while keeping warm. As I mentioned before, I adore fall drinks. Not just the classic PSL, but anything with warm, spicy notes to not only keep my hands warm, but my whole body. I know it’s technically not a wardrobe item, but they are a fall staple! 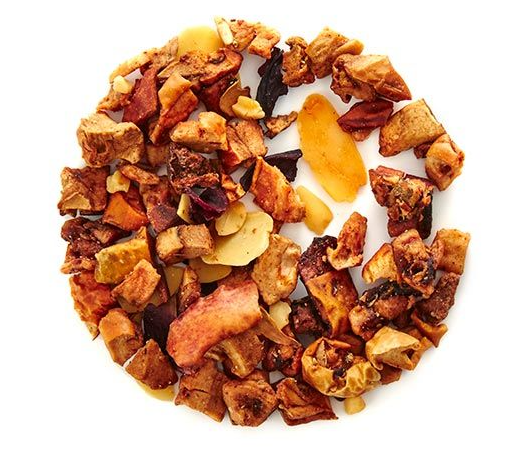 I stopped into David’s Tea the other day and tried a sample of their Organic “Forever Nuts” tea which is an Herbal Tea with crunchy almond slices, sweet apple bits and cinnamon bark – talk about a pick me up! Finally, it’s time to admit to myself that jackets are necessary – but I refuse to break out my bulky winter coat just yet. 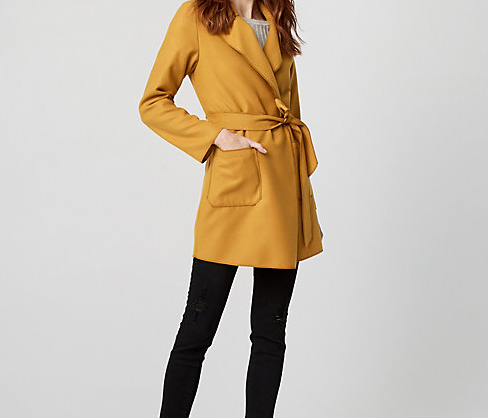 This stunning mustard yellow coat caught my eye on a mannequin in Le Chateau and I just had to have it. Not only is it the perfect fall colour, it’s the perfect temperature for the days when the weather just can’t make up its mind. Never be afraid of the seasons changing . . . It’s the perfect excuse to head to The Great Indoors for some much-needed wardrobe upgrades! See you there!